This loss may take a little time to get over. 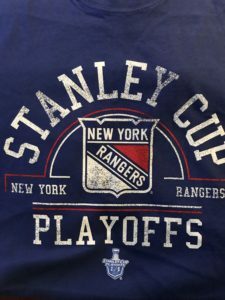 The Ottawa Senators jumped out to a 2-0 lead in the 1st period and held on for a 4-2 win over the Rangers Tuesday night at The Garden, winning the best-of-seven Eastern Conference Semifinal series, four games to two, and ending New York’s 2016-17 season. Ottawa will now face the winner of the Pittsburgh-Washington conference semi-final. The Rangers, who had the best road record during the regular season, lost all three games in Ottawa during the series. Eric Karlsson and Mark Stone each scored a goal and an assist. Mike Hoffman and Jean-Gabriel Pageau had the other Ottawa goals. Mika Zibanejad and Chris Kreider scored for the Blueshirts. Hoffman gave Ottawa a 1-0 lead just 4:27 into the 1st period, deflecting a pass from Karlsson past Henrik Lundqvist. Then Stone made it 2-0 at 14:44, whistling a wrist shot over Lundqvist’s right shoulder. Zibanejad cut the lead to 2-1 with a goal at the 13:32 mark of the 2nd period, off a great pass from Mats Zuccarello, but Karlsson made it a two-goal margin again at 15:53, taking a pass from Bobby Ryan and scoring. 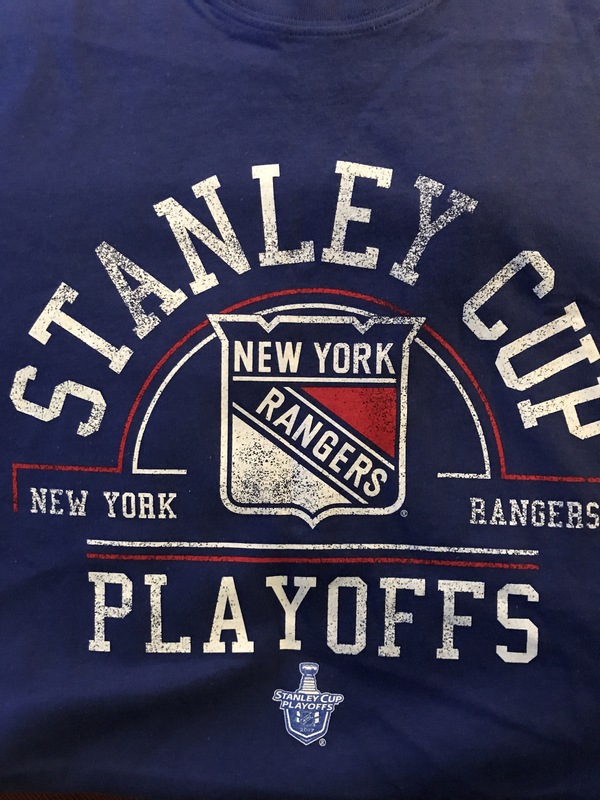 Kreider’s goal just 53 seconds into the 3rd period made it 3-2, giving the Rangers and the crowd some energy, but the Blueshirts could not score the equalizer. Pageau’s empty-net goal with 7 seconds to play provided the final 4-2 margin. The Rangers outshot Ottawa, 39-26, but the New York power play was 0-for-4 on the night, and 3-for-39 in the series. and c) lost in overtime on a Saturday afternoon in Ottawa. Kyle Turris‘ goal 6:28 into overtime gave the Senators a 5-4 Game 5 win, and a 3-2 lead in the best-of-seven Eastern Conference semi-final series. 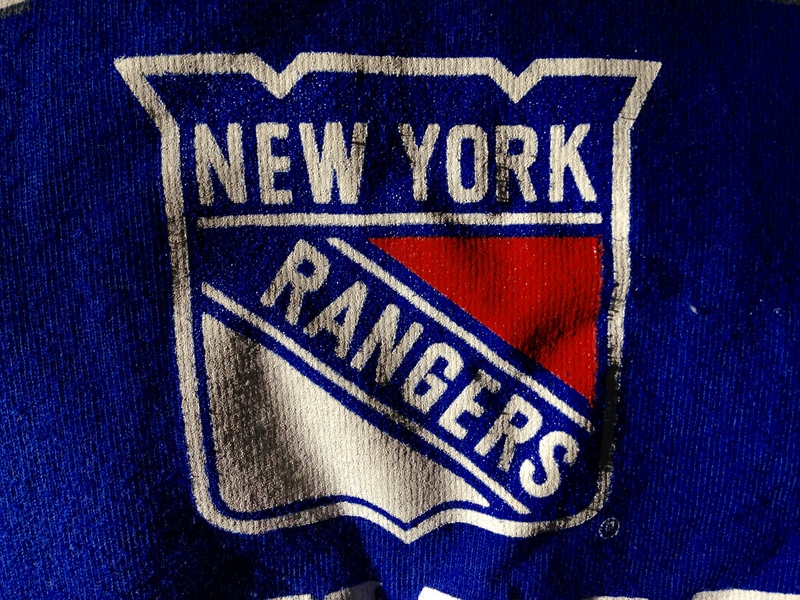 The Blueshirts now face a win-or-go-home Game 6 Tuesday night at The Garden. Last Saturday afternoon, in Game 2 of the series, the Rangers failed to hold leads of 3-1, 4-2, and 5-3, and lost in Ottawa in double-OT, 6-5, as Jean-Gabriel Pageau was the hero for the Senators. In Game 5, New York came out aggressively on offense. Goals by Jesper Fast and Nick Holden staked the Rangers to a 2-0 lead just 5:13 into the game. Mark Stone answered 50 seconds later with his 3nd goal of the playoffs to make it 2-1. In the 2nd period, goals by Mike Hoffman (8:17) and Tom Pyatt (8:50) just 33 seconds apart gave Ottawa a 3-2 lead. But, later in the period, Ryan McDonagh tipped in a Michael Grabner shot for a goal at 17:49 to tie the game 3-3 after two periods. In the 3rd, Jimmy Vesey gave the Rangers a 4-3 lead at 12:48. Vesey’s diving deflection of a loose puck into the net was initially called no goal, but video review showed that the puck had crossed the goal line before being saved by Senators goalie Craig Anderson. With time winding down, and Anderson pulled for an extra attacker, former Ranger Derick Brassard score the game-tying goal at 18:34, after a wild scramble in front of Henrik Lundqvist. Six minutes into the OT, Turris carried the puck into the Rangers zone. Dan Girardi blocked Turris’ initial shot, but Turris got his own rebound and put a wrist shot past Lundqvist for the game-winner. Game 6 is Tuesday night at The Garden. Oscar Lindberg scored a pair of goals to lead the Rangers to a 4-1 win over the Ottawa Senators Thursday night at The Garden, evening their best-of-seven series, two games apiece. The Blueshirts got on the board first again, when Nick Holden made it 1-0 at the 14:04 mark of the 1st period, off a pass from Kevin Hayes. Lindberg made it 2-0 just 2:01 into the 2nd period, converting a 2-on-1 with J.T. Miller and beating Craig Anderson. It was Lindberg’s 2nd straight game with a goal. Then Lindberg converted again at 15:54, with a shot from the top of the left face-off circle, to make it 3-0. The Senators replaced Anderson with Mike Condon to start the 3rd period. Chris Kreider made it 4-0 midway through the period, stuffing a rebound past Condon for a goal at 10:45. Kyle Turris spoiled Henrik Lundqvist’s chance for a shutout, scoring at 13:34 for the final 4-1 margin. Since giving up 5 goals in Saturday’s Game 2, Lundqvist has stopped 48 of 50 shots. Game 5 is Saturday afternoon in Ottawa. 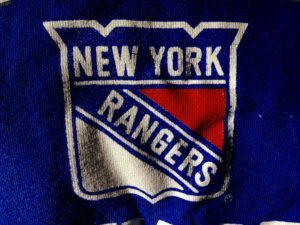 The Rangers put it all together Tuesday night, excelling on offense, defense and in goal, as they beat the Ottawa Senators, 4-1, in the surprisingly stressless Game 3 of their best-of-seven conference semi-final series. The Blueshirts got goals from Mats Zuccarello, Michael Grabner, Rick Nash, and Oscar Lindberg, as all four lines got a goal. Henrik Lundqvist made 26 saves, and recorded his 60th career playoff win. The Rangers came out in the 1st period with energy and enthusiasm and outshot Ottawa in the period, 15-5. Zuccarello gave New York a 1-0 lead 5:31 into the game, taking a pass from Mika Zibanejad and beating Craig Anderson for his 4th goal of the post-season. Grabner made it a 2-0 lead later in the period, taking a pass from Zuccarello while behind the Ottawa net, and wrapping the puck around and in past Anderson at 13:24. Midway through the 2nd, Nash and Derek Stepan broke in on Anderson on a 2-on-1, and Nash finished it off, waiting and waiting before lifting it over Anderson for the goal and a 3-0 New York advantage. Lindberg would make it 4-0 with 1:43 to go in the period, taking a pass from J.T. Miller and beating Anderson on a one-timer. It was Lindberg’s first career post-season goal. Just 32 seconds later, Jean-Gabriel Pageau, the Ottawa hero in Game 2, beat Lundqvist off a pass from Bobby Ryan, to cut it to 4-1. It was his 6th goal of the post-season. Neither team scored in the 3rd period. After much scrutiny of their playing time in Game 2, the defensive pairing of Brady Skjei [20:13] and Brendan Smith [19:13] got much more playing time in Game 3. And Tanner Glass dressed in place of Pavel Buchnevich. Game 4 is Thursday night at The Garden. Jean-Gabriel Pageau scored two goals in the final four minutes of regulation to tie the game, and then scored the game-winner in the 2nd overtime, as the Senators beat the Rangers, 6-5, Saturday afternoon in Ottawa. The Senators now lead the best-of-seven Eastern Conference semi-final series, two games to none. Pageau finished the game with four goals. He is the first player to score four goals in a playoff game since Johan Franzen of Detroit did it in 2010. Brady Skjei scored 5:10 into the 3rd period to give the Rangers a 5-3 lead, New York’s third two-goal lead of the game. It was Skeji’s 2nd goal of the game. But Henrik Lundqvist and the New York defense could not close out the victory. Pageau cut it to 5-4 with 3:19 to play when he deflected Zack Smith‘s slap shot past Lundqvist. Then, with goalie Craig Anderson pulled for an extra attacker, Pageau deflected a Kyle Turris shot in with 62 seconds to play, to tie the game 5-5. It marked Pageau’s 2nd career post-season hat trick. After a scoreless 1st overtime, the Senators finished off their comeback early in the 2nd OT. Pageau and Tommy Wingels broke in on an odd-man rush, and Pageau’s wrist shot beat Lundqvist for the game-winner at 2:54. The Rangers got off to a hot start when Michael Grabner scored a short-handed goal just 4:16 into the game to give the Blueshirts a 1-0 lead. Grabner’s one-timer, off a pass from Jesper Fast, was Grabner’s 3rd goal of the post-season. Pageau tied the game, 1-1, after a bad turnover in neutral ice by Dan Girardi. Goals by Chris Kreider and Derek Stepan gave New York a 3-1 lead midway through the 2nd period, but Marc Methot answered at 14:00 to make it 3-2. Skjei’s 1st goal of the game, at 15:51, would give the Rangers a 4-2 lead after two periods.